With just one month to go before Britain votes on whether to leave the European Union, those in the "Stay" camp are in the ascendancy. If the referendum were held today, about 52 per cent of the electorate would reject the so-called Brexit option, opinion polls indicate. But quite apart from the fact that a month is a long time in politics, it would be foolhardy to assume that it's safe to predict the vote's final outcome. British public opinion remains highly volatile, and the debate aims right at the heart of the country's national identity. It is tempting to dismiss those who advocate Brexit as just a collection of rabid nationalists - daydreamers for an empire on which the sun set a long time ago. Brexit supporters are not all boorish "anti-Europeans", as they are often called by their critics; they are merely anti-EU, and oppose the institution rather than the continent. What happens in Europe affects us, whether we like it or not, so we must be strong in Europe if we want to be strong at home, and in the world... Far from Britain's influence in the world being undermined by our membership of the EU, it amplifies our power, like our membership of the UN or of Nato. I think it's fair to say that maybe, at some point down the line, there might be a UK-US trade agreement, but it's not going to happen any time soon because our focus is in negotiating with a big bloc, the European Union. The UK is going to be at the back of the queue. From the smallest gallery to the biggest blockbuster, many of us have worked on projects that would never have happened without EU funding or collaborating across borders. Britain is not just stronger in the EU, it is more imaginative and creative. Our global creative success would be severely weakened by walking away. 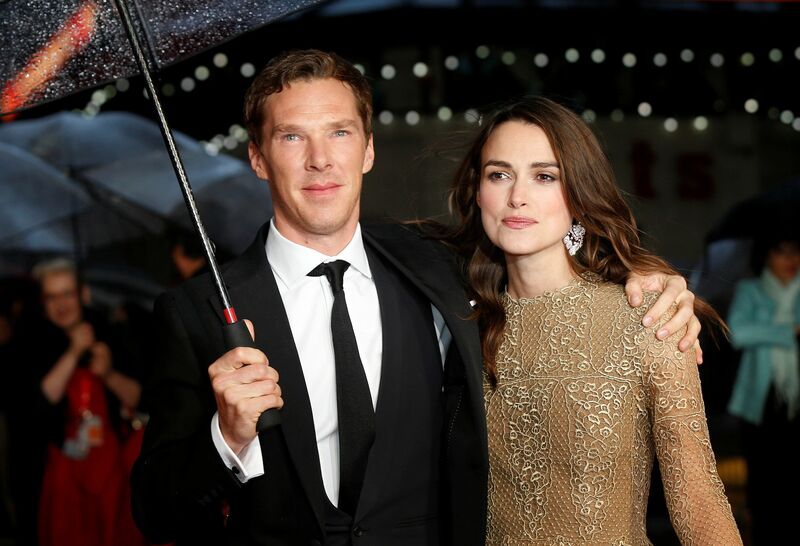 BENEDICT CUMBERBATCH AND KEIRA KNIGHTLEY, who were among 282 actors, authors, musicians and directors to sign an open letter. Japan very clearly would prefer Britain to remain within the EU. Many Japanese companies set up their operations in the UK precisely because the UK is a gateway to the EU. A vote to leave would make the UK less attractive as a destination for Japanese investment. Most Brexiters do not want to recreate a glorious past either but, instead, wish to propel their country forward. They argue that the EU is an organisation in economic decline, while Asia, where the real economic growth is occurring, should be Britain's target. This may be the wrong argument, but it is not one that looks back. And not all of those who want to pull Britain out of the EU are against immigrants or open borders. Indeed, some are suggesting that, instead of accepting people from Eastern Europe with no knowledge of English, Britain should import labour from the English-speaking world; a migrant from Singapore or Sydney, they say, is easier to integrate than one from Sofia, Bulgaria. And when they do look at history, Brexiters often make more sense. They point out that, unlike countries like Germany, Italy, Spain or Portugal, which created or joined the EU to ensure that never again would they succumb to right-wing dictatorships, Britain remained immune to both fascism and Nazism. Unlike France, Britain was neither defeated in war, nor occupied. And unlike Eastern Europe, Britain never fell under communism either. Britain is also big enough to run its own economy, unlike small countries such as Luxembourg or Belgium. In short, while most other nations joined the EU to escape from themselves, the British have felt no need for such an organisation in the past, and find it even more superfluous today. Of course, this argument is an oversimplification. But what is becoming increasingly clear is that the appeal to emotions, the constant emphasis on Britain's presumed strengths, both past and present, is no substitute for dealing with hard facts. Simply put, Brexiters have lost the economic argument of the referendum campaign by failing to give a convincing explanation of how Britain would be able to benefit from leaving the vast common market it has today, in order to pursue an open and supposedly even vaster market elsewhere. World leaders from United States President Barack Obama to Japanese Prime Minister Shinzo Abe have reminded Britons that renegotiating new free trade deals is hardly a piece of cake, and takes many years of hard work. Meanwhile, financial markets are already reminding ordinary Britons what life outside the EU could be like, as their currency is losing its value just when the peak season for overseas holidays is beginning. The "Leave" camp has also proved itself inept at campaigning. Former London mayor Boris Johnson, the Brexiters' chief asset, has bombed on the campaign trail. Still, the "Stay" camp, which includes most of the country's political establishment led by Prime Minister David Cameron, whose own political career is on the line, cannot assume the vote has been won. Events outside Britain's control, such as renewed pressure from Middle East immigrants pushing at Europe's shores, or another terrorist attack, could affect public opinion. And then, there is the thorny issue of voter turnout on June 23. Brexit supporters are committed, and are guaranteed to vote. But young Britons - three-quarters of whom are in favour of the EU - are the least likely age group to vote. A study compiled by an impartial group of academics called UK in a Changing Europe concluded that this "enthusiasm gap" is key to the eventual outcome. "If you don't worry about turnout, the 'Remain' camp is ahead," said Professor Harold Clarke, one of the study's contributors. But if turnout is only 55 per cent of the electorate, then the Brexiters may yet triumph. Either way, even if Britain votes to stay, it will not be because a majority of the electorate has suddenly fallen in love with the EU, but more because it has concluded that life outside the EU is riskier. And the vote will not silence the EU's critics. Being in Europe, but not of Europe, seems to be Britain's destiny.